Strategic Affairs Ministry finds PA, Hamas fanning flames of anti-Israel hatred. The previous two months has seen a steady increase in Palestinian Arab incitement, especially following the terror attacks in Gush Etzion and Barkan. Those were some of the conclusions of a report compiled by the Strategic Affairs Ministry that researched incitement and anti- Israel boycotts in Palestinian society. The report is expected to be disseminated this month to government officials, the defense establishment and foreign embassies in Israel. The report, which examined incitement that took place in September and October, shows that the Palestinian leadership, headed by Mahmoud Abbass, expresses public, consistent, and strong support for terrorism, including for those responsible for the terrorist attacks at the 1972 Munich Olympics. As part of the 25-year anniversary of the Oslo Accords, Palestinian factions were called upon to renew suicide attacks in Judea and Samaria. In Gaza, disturbances continue along the border with Israel, with cartoons in Hamas-affiliated networks calling on adherents to harass IDF forces, break through the separation fence, and commit violence against the military. The Palestinian factions led by the Palestinian Authority is also responsible for anti-Israel and anti-Semitic incitement that intensified because of the expected evacuation of Khan al-Ahmar. The PA also attempted to arrange a boycott of the Eurovision Song Contest that is slated to take place next year in Israel. "Instead of behaving responsibly, Abu Mazen, as usual, is fanning the flames by publicly supporting terrorists, attacks and disturbances of order against Israel," said Strategic Affairs Minister Gilad Erdan. 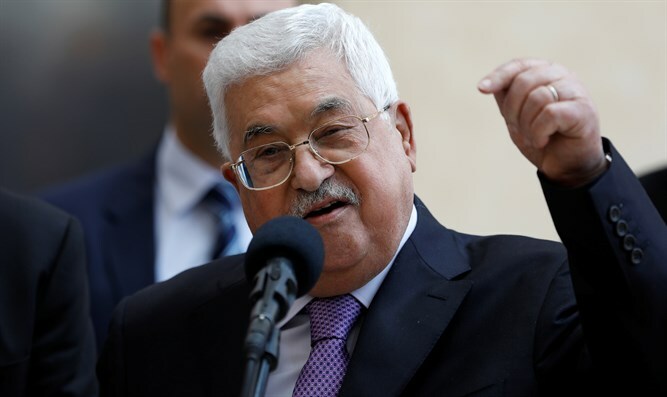 "The various Palestinian factions, headed by Abu Mazen and Hamas, are constantly trying to undermine Israel's image and position in the world and to boycott it when it appears that the dream of destroying the State of Israel has not been abandoned."